In today’s fast-paced, technology-driven world, industries are in more need than ever for experienced engineers with technical expertise who can also successfully lead teams and manage complex projects. Often called “The Engineer’s MBA,” a master’s degree in Engineering Management bridges the gap between engineering and management, and effectively prepares working engineering and technical science professionals for advancement into managerial and executive roles. Degree programs build upon existing technical skills and improve business savvy, project management, team leadership, communication, and financial acumen. According to the Bureau of Labor and Industries, employment of architectural and engineering managers is projected to grow 7 percent from 2012 to 2022. The median pay for such positions in 2012 was $124,870 per year. A master’s degree in Engineering Management benefits members of a variety of industries, including automotive, construction, design, energy, government, healthcare, industrial, manufacturing, and military. Many prestigious schools are adding online programs making the degree more accessible and flexible than ever. When considering a Master’s Degree in Engineering Management, keep in mind there are two primary variations. Students can pursue a Master of Science or a Master of Engineering degree. The Master of Science curriculum typically contains a great deal of research, focused on studies and theories. The Master of Engineering is considered more of a technical degree focused on application. This list includes both online M.S. programs and online M.Eng. programs. For our Smart Choice ranking of the best online Master’s in Engineering Management degrees only regionally accredited colleges and universities listed in the National Center for Education Statistics database were considered. Qualifying schools were then evaluated and ranked based on publicly available information regarding academic reputation, flexibility, cost, awards/recognition, and return on investment. The result is a list of top online schools for Engineering Management that can help you decided the online Engineering Management degree that is the smartest choice for you. Oakland University began in 1957 when the founders contributed their historic estate and $2 million to Michigan State University to create a satellite school. Set on 1,443 acres of beautiful wooded hills and meadows, the OU campus in Rochester Hills, Michigan, offers state-of-the-art facilities in the heart of Automation Alley. Oakland University has a faculty-to-student ratio of 22 to 1 and a graduate enrollment of over 3,500 with 11% of graduate students enrolled solely in distance education. Oakland University is a member of the North Central Association of Colleges and Schools. The Higher Learning Commission provides accreditation. Program Details: The Master of Science in Engineering Management degree is offered through a collaboration between the Industrial and Systems Engineering Department and the School of Business Administration. OU offers flexible online curriculum that includes 5-6 engineering courses, 4-5 management courses, one elective course, and one theory course. Applicants may have a bachelor’s degree in any field of engineering. Classes begin three time per year. Western New England University was founded in 1919 and operated as a college for many years, until growth and diversity enabled the institution to fully became a university system in 2011. 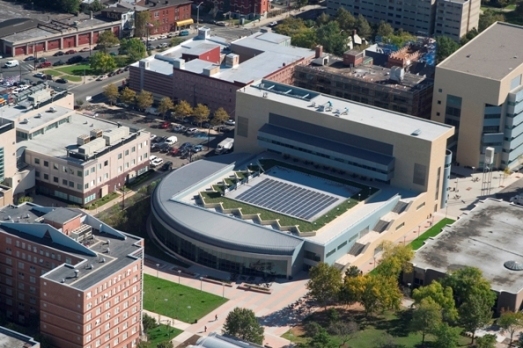 Springfield, Massachusetts, on the eastern bank of the Connecticut river, provides students access to the urban, economic, and cultural capital of the valley. WNE is a private academic institution on a 215-acre campus. The university has a 13:1 faculty-to-student ratio, a graduate enrollment of over 1,100, and is a member of the New England Association of Schools and Colleges. Accreditation is provided by the Commission on Institutions of Higher Education. Program Details: A Master of Science in Engineering Management degree at Western New England University may be pursued 100% online, part- or full-time. The curriculum includes four core courses, then students select 9 credit hours in engineering management electives and 9 credit hours in engineering or business electives. Business courses are available through the MBA program. Applicants must have an undergraduate degree in engineering or a related field. Tuition costs $1048 per credit. For the highly motivated, two additional degree programs are available: a combined degree of a Master of Science in Engineering Management with a Master of Business Administration, and a PhD in Engineering Management. 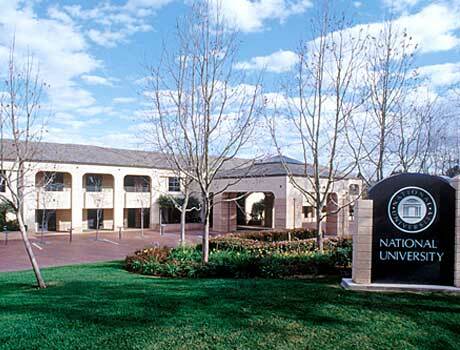 National University is the second largest private, nonprofit institution of higher education in California. Administrative offices are headquartered in the seaside city of La Jolla, CA. As the flagship institution of the National University System, which was created in 2001 to meet the emerging demands for education in the 21st century, NU has a faculty-to-student ratio of 22 to 1. The student body includes over 8,000 graduate students, of whom 70% are enrolled only in distance education. National University is a member of the Western Association of Schools and Colleges. The Senior College and University Commission provides accreditation. Program Details: The Master of Science in Engineering Management program offers high quality instruction to working professionals seeking to improve their skills in engineering management. Students gain practical business perspectives to incorporate with their technical backgrounds and expertise. The online curriculum provides for students to choose a specialization in one of four areas: Project Management, Enterprise Architecture, Systems Engineering, and Technology Management. This online degree program requires the completion of 63 quarter credits. The University of Alabama at Birmingham began as the Medical College of Alabama in 1859. An extension center of the University of Alabama opened in 1936, and the two institutions merged to become the comprehensive, urban University of Alabama in Birmingham in 1966. 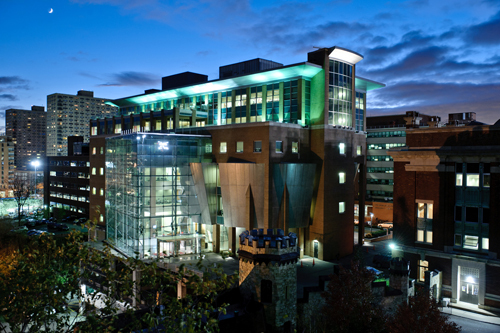 UAB is the largest research institution in Alabama. The faculty-to-student ratio sits at 18 to 1. Just over 7,000 graduate students attend UAB, with approximately half taking courses part-time. The university is a member of the Southern Association of Colleges and Schools. Accreditation is provided by the Commission on Colleges. Program Details: The School of Engineering offers three different Master’s of Engineering degrees involving management: Advanced Safety Engineering and Management, Construction Engineering and Management, and Information Engineering and Management. Applicants for the Advanced Safety Engineering and Management degree do not need an undergraduate degree in engineering, but should have at least 5 years work experience in the safety field. The Construction Engineering and Management degree requires a bachelor’s degree and at least 2 years relevant work experience. The Information Engineering and Management degree option considers all undergraduate degrees if applicants have relevant industry experience. Students can receive most or all program content online with no or few on-campus meetings. An abandoned airfield in Miami became the birthplace of Florida International University in 1969. Leaders who created the vision for FIU initially planned their vision in the former air traffic controller’s tower. The university has now become one of the largest in the country, and that control tower still stands at the center of campus. Miami’s first and only public research institution, FIU enrolls over 8,500 students in graduate programs. The faculty-to-student ratio is 27 to 1. FIU is a member of the Southern Association of Colleges and Schools. The Commission on Colleges provides accreditation. Program Details: The Master of Science in Engineering Management degree program at Florida International University is fully online and can be completed in as little as 10 months; students enroll in three semesters of four courses each. Tuition costs $35,000 total for the 30 required credits. The curriculum includes three components: Engineering Management Core Courses, Business Electives, and Systems Engineering Track. Applicants must have a bachelor’s degree in engineering or a closely related field and a GPA of 3.0 or higher. The University of Alabama in Huntsville began in 1949 as an extension center of the University of Alabama with 137 students, many veterans of World War II, who paid $4 per credit hour for tuition. Today the 432-acre campus engages with the thriving, high-tech city of Huntsville, otherwise known as “Rocket City” for its close history with U.S. space missions. UAH enrolls over 1,500 graduate students and has a 16:1 faculty-to-student ratio. The university is a member of the Southern Association of Colleges and Schools. Accreditation is provided by the Commission on Colleges. Program Details: Online curriculum for the Master of Science in Engineering with a concentration in Engineering Management includes 12 credit hours of major courses in topics such as Engineering Management Theory, Project Management, and Organizational Structure, and 6 credit hours in minor courses. Electives include 6- to 12-credit-hour options for thesis and non-thesis capstones. Applicants must have a bachelor’s degree in engineering from an ABET-accredited program, a minimum GPA of 3.0, satisfactory GRE scores, and courses in engineering statistics and engineering economy. Set in the rural landscape of Moscow, Idaho, University of Idaho was founded in 1889 and opened 3 years later with 40 students and one professor. A land-grant research institution, University of Idaho is considered one of the best educational values in the Pacific Northwest. U-Idaho has a faculty-to-student ratio of 18 to 1 and graduate enrollment is approximately 2,400. The Northwest Commission on Colleges and Universities provides accreditation. Program Details: The Master of Engineering in Engineering Management online degree program at University of Idaho bridges the gap between engineering and business disciplines. Faculty offers practical experience from the industry. The degree requires 30 credits; completion includes either a master’s project with an oral exam or an additional elective with written exam. Online students take classes through Engineering Outreach and tuition costs $701-$720 per credit. The South Dakota School of Mines & Technology was founded in 1885 with the sole intention of offering instruction in mining engineering. Located in Rapid City (Gateway to the Black Hills), the school’s reputation as a diversified science and engineering school came after World War I with an increase in engineering students. Now a thriving research university on a 118-acre campus with 16 academic departments, SD Mines has a faculty-to-student ratio of 14 to 1 and graduate enrollment of 312. The school is a member of the North Central Association of Colleges and Schools and is accredited by The Higher Learning Commission. Program Details: Offered through the Department of Industrial Engineering, the Master of Science in Engineering Management degree program has live classes that can be streamed online, or watched later via recorded video. Diverse topics of study include Economics, Safety, Project Management, Risk Assessment, and more. Three credits must be completed within four core areas of Business/Finance, Management, Quantitative Methods, and Operations Management. Tuition rates are $600 per credit hour, with a non-thesis option of 32 credits. Applicants must have an appropriate undergraduate degree, and coursework in Calculus I, Probability, and Statistics. Program Details: A Master of Engineering in Engineering Management degree can be completed fully online through the University of Louisville. This 30-credit-hour program helps working professionals with undergraduate degrees in engineering or related hard sciences to develop superior skills in managing engineering projects. Coursework builds on mathematical and analytical expertise gained from prior education and experience. Tuition costs $714 per credit hour. The degree can be completed in as little as 2 years. Eastern Michigan University is located in historic Ypsilanti, 40 miles west of Detroit. With an 800-acre campus and 18 miles of walkways and jogging trails, EMU provides students with an ideal setting in an area rich in academic and recreational resources. The university began as a normal school in 1849 and boasts an 18:1 faculty-to-student ratio. Graduate enrollment has exceeded 4,000, with 78% of students pursuing their education part-time and 18% through distance-only methods. EMU is a member of the North Central Association of Colleges and Schools. Accreditation is provided by The Higher Learning Commission. Program Details: The Master of Science in Engineering Management degree is offered through the School of Engineering Technology. This online degree program includes the opportunity to obtain the advanced degree along with a professional certification in a specialty area. Specialty tracks include Research and Development, Design and Manufacturing, Project/Program Management, Lean Enterprise Systems, and EMU Graduate Quality Certificate. Most are 39-credit-hour programs. Applicants must have a technical- or industrial-related degree with a minimum GPA of 2.5. In the vibrant University Heights district of downtown Newark, New Jersey, lies the New Jersey Institute of Technology. Just 20 minutes to Manhattan by train, NJIT is a fast-growing public university with a faculty-to-student ratio of 13 to 1. The institute first opened as the Newark Technical School in 1885 with 88 students. Now with almost 3,000 students in graduate studies alone, NJIT’s vision is to be a preeminent engineering, design, science and technology university known for research and education. Accreditation is provided by the Middle States Commission on Higher Education. Program Details: The ABET-accredited College of Engineering partners with the School of Management to offer a course of study that includes case studies, role playing, coursework, and participation from students from diverse industries. The program blends the theoretical with the practical. The Master of Science in Engineering Management curriculum follows 18 credits of core coursework with a 12-credit specialization in Cost Engineering. Applicants must have an undergraduate degree in engineering or a related science field, and a GPA of at least 2.8. Tuition costs $1087 for out-of-state residents. University of Colorado Colorado Springs lies on 521 acres at the foot of Austin Bluffs, a rugged natural cliff formation. The campus enjoys a fantastic view of the Rocky Mountains. Established in 1965 and built on land given by a local businessman, UCCS has a faculty-to-student ratio of 17 to 1. Over 2,000 students are enrolled in the graduate program, and one-third of them participate in distance-only education. The university is a member of the North Central Association of Colleges and School and is accredited by the Higher Learning Commission. Program Details: The Master of Engineering in Engineering Management online degree program requires 21 credits of core coursework in classes such as Systems Perspective, Processes Engineering, Project Management, Finance and Accounting, Leadership, and a capstone in Case Studies in Engineering Management. Nine credit hours must be completed in emphasis courses; students can choose either Engineering Health or Business. Applicants must have a bachelor’s degree in engineering or a related science with a GPA of at least 3.0, undergraduate coursework in Engineering Economics and Statistics, and at least two years of professional experience. Non-resident tuition is $800 per credit hour. 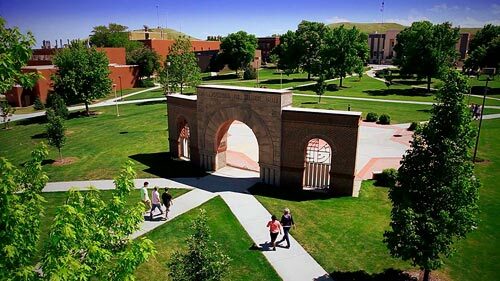 Colorado State University is a 5,000-acre land-grant research university founded in 1870 and set in picturesque northern Colorado at the edge of the Great Plains and the base of the Rocky Mountains. Based in Fort Collins, a city of approximately 150,000, CSU enrolls about 3,800 graduate students and has a 16:1 faculty-to-student ratio. CSU is a member of the North Central Association of Colleges and Schools. Accreditation is provided through The Higher Learning Commission. Program Details: The Department of Mechanical Engineering offers a Master of Engineering in Engineering, with an Engineering Management Specialization. This 30-credit program costs $824-$995 per credit. All coursework is completed online; watch recorded campus-based classes in Engineering Project Management, Business Analysis and Communication, Finance and Marketing, Supply Chain Management, and more. There is no thesis, project paper, or final exam required in this program. Professional experience is recommended, but not required. Applicants must have a bachelor’s degree in engineering or a related field, a minimum GPA of 3.0, and coursework in Calculus 1, 2, and 3, Ordinary Differential Equations, and Physics 1 and 2. The University of Arizona is a land-grant research institution established in 1885. Covering more than 380 acres in central Tucson, UA prides itself on innovation and is leading a mission to send a spacecraft to a near-Earth asteroid in the year 2020. The graduate enrollment exceeds 9,000 students, with a faculty-to-student ratio of 21 to 1. UA is a member of the North Central Association of Colleges and Schools and is accredited by The Higher Learning Commission. Program Details: The Master of Science in Engineering Management online degree program contains courses that are available on-demand and in real-time. Offered through the Systems & Industrial Engineering Department, the program requires at least 30 credit hours, 18 of which are core credits in topics such as Financial Modeling, Technical Sales, Decision Making, Project Management, and Law. Applicants must have a minimum 3.0 GPA and satisfactory GRE scores. Tuition costs $1149 per unit. Established in 1932, Lawrence Technological University makes its home in the small city of Southfield, Michigan, a northern suburb of Detroit. Henry and Edsel Ford contributed to its beginnings, offering guidance and space in their former Model T assembly plant. LTU enjoys a faculty-to-student ratio of 11 to 1. Graduate enrollment for this private not-for-profit institution hovers near 1,000, with over 95% of graduate students attending on a part-time basis and 28% through distance means only. LTU is a member of the North Central Association of Colleges and Schools and receives accreditation through The Higher Learning Commission. Program Details: The online Master of Engineering Management program offers 36 semester credits designed working professionals, with all coursework available online. The curriculum is composed of 21 core credits that include classes in Project Management, Global Leadership, and Automotive Manufacturing Systems, and 15 elective credits. Applicants must have an undergraduate degree in Engineering, Engineering Technology, Science, Math, Computer Science, or Physical Science with a minimum 3.0 GPA and extensive engineering experience. LeTourneau University is a private Christian university located in the East Texas hub city of Longview. At last count, Longview’s population was 80,455, and it has been recognized as one of the fastest-growing small cities in the United States. LETU began as a technical institute in 1946, founded by R.G. LeTourneau, an inventor of earthmoving equipment. The school became a university in 1989 and now has 6 schools. The faculty-to-student ratio holds at 13 to 1, with only 424 graduate students enrolled. LeTourneau University is a member of the Southern Association of Colleges and Schools and is accredited by the Commission on Colleges. Program Details: The Master of Engineering Management degree requires the completion of 30-credit hours, after which students will be prepared to manage technical and engineering staff with expertise. The curriculum includes 6 core courses in topics such as Managerial Business, Leadership, Project Management, and Systems Analysis. Students also select from 4 specialization options and take a total of 4 courses in that specialization: Oil & Gas Management, Program Management, Software Engineering, or Aerospace Management. Coursework ends with a Capstone Project. The program is designed to be completed in 18 months, but students can pace themselves faster or slower. There are 6 starting dates per year. About 100 miles southwest of St. Louis, Missouri, in the small town of Rolla, lies the Missouri University of Science & Technology. Founded in 1870, it was the first technological learning institution west of the Mississippi and focused primarily on mining and metallurgy. Now with a graduate enrollment of nearly 2,000 students, and a 17:1 faculty-to-student ratio, this public institution is known for its repeated success in national engineering design competitions. Missouri S&T is a member of the North Central Association of Colleges and Schools and is accredited by The Higher Learning Commission. Program Details: The Master of Science in Engineering Management degree program involves 4 core courses, 4 courses in an area of specialization, and 2 elective courses. A total of 30 credit hours are required to complete the degree. Courses are delivered online via live streaming video and archived for future review. Applicants must have a bachelor’s degree in Engineering, Math, or a Physical Science, a GPA of 3.0 or above, and a satisfactory GRE score. Tuition costs approximately $1194 per credit hour. With a primary campus located on a 77-acre campus just west of the Schuylkill River in Philadelphia, Pennsylvania, Drexel University is a global, urban, research institution. Drexel is one of America’s 15 largest private universities, yet maintains a low faculty-to-student ratio of 10 to 1. Financier and philanthropist Anthony J. Drexel founded the Drexel Institute of Art, Science, and Industry in 1891. The institute became a university later in 1970. Online education began in 1996 and Drexel continues to innovate the classroom experience as technology evolves. Drexel’s graduate enrollment is approximately 9,500 students, with 38% enrolled in distance education only. Accreditation is provided through the Middle States Commission on Higher Education. Program Details: Drexel’s College of Engineering is the third largest private engineering college in the United States. The Master of Science in Engineering Management degree program includes coursework in Economics, Financial Management, Engineering Law and Management, Ethical Issues, Project Management, and more. Drexel is a pioneer in engineering education, having established the first graduate engineering program in the nation in 1959. The degree program includes 10 core classes (which includes a capstone) and 5 electives. Applicants must have a bachelor’s degree in engineering or sciences from an ABET-accredited institution and a GPA of 3.0 or above. At least 5 years professional work experience is recommended. Currently, the tuition rate is $1157 per credit. Robert Morris University is a private not-for-profit institution with a main campus in Moon Township, Pennsylvania, along the Ohio River only 12 miles northwest of Pittsburgh. Founded in 1921 as the Pittsburgh School of Accountancy, Robert Morris became a full-fledged university in 2002. Graduate enrollment is just under 1,000, with nearly all graduate students seeking their degrees part-time. RMU holds a faculty-to-student ratio of 15 to 1 and is accredited by the Middle States Commission on Higher Education. The university’s Department of Engineering is accredited by ABET. Program Details: The Master of Science in Engineering Management degree is an online program that offers a flexible curriculum schedule with courses to prepare students to apply knowledge and establish leadership in technical work environments. Coursework includes 9 core credits and 21 elective credits. Core coursework involves Cost Estimation and Financial Analysis, Design and Implementation of Engineered Systems, and an analysis of the full gamut of Project Engineering. Tuition costs $870 per credit. Old Dominion University is a public doctoral research institution situated in Norfolk, Virginia, part of the metropolitan Hampton Roads region of coastal Virginia. Founded in 1930 as an extension of The College of William and Mary, and reaching independent university status in by 1969, ODU now boasts a faculty-to-student ratio of 20 to 1. Graduate enrollment hovers at 5,000 students, 33% of whom are enrolled solely in distance programs. ODU is a member of the Southern Association of Colleges and Schools and is accredited by the Commission on Colleges. Program Details: The Department of Engineering Management & Systems Engineering offers an online Master of Engineering Management degree. The degree program requires the completion of 31 credit hours, 18 of which are core classes and 12 are electives. The online class experience is seamless; ODU has over 30 years experience delivering distance learning programs. The curriculum culminates with a one-credit capstone course. Tuition costs $501 per credit hour for out-of-state residents. Applicants must have undergraduate degree from an ABET-accredited program in engineering, engineering technology, or an accredited degree in an applied science, with a minimum 3.0 GPA. In the large suburb of Hoboken, New Jersey, overlooking the Manhattan skyline, Stevens Institute of Technology is a private research university with a legacy of technological innovation. Founded in 1870, Stevens ranks highly for return on investments for graduates. With a graduate enrollment of just over 3,000 and an award-winning faculty (one to every 10 students), Stevens is committed to educating the leaders of our world’s technology-centric environment. The institute is accredited by the Middle States Commission on Higher Education. Program Details: The online Master’s in Engineering Management program promises to prepare graduates to work effectively where engineering and management interface. The curriculum is comprised of 10 courses, 6 of which are required core courses and 4 of which are electives. Core coursework includes classes such as Engineering Economics and Cost Analysis, Project Management of Complex Systems, and Decision and Risk Analysis. Stevens Institute offers over 25 online elective courses from which to choose. The part-time student tuition rate is $1,450 per credit. The University of North Carolina stands in Charlotte, just two hours from the Appalachian mountains and three hours from the Atlantic Ocean. A public research university, UNC Charlotte enrolls over 5,000 graduate students and holds a 19:1 faculty-to-student ratio. UNC began in 1946 as Charlotte Center, a response to the rising need to serve the academic needs of veterans after World War II. UNC is a member of the Southern Association of Colleges and Schools, and is accredited by the Commission on Colleges. The online program is accredited through the U.S. Distance Learning Association. Program Details: The Master of Science in Engineering Management program is a technical alternative to the M.B.A. Through UNC curriculum, students choose one of three concentrations in either Energy Systems, Lean Six Sigma, or Logistics and Supply Chains. The program takes 12-36 months to complete and requires 30 credit hours. Non-resident tuition costs about $918 per credit hour. Applicants should have an undergraduate degree in Engineering or a closely related field, coursework in Economics, Calculus, and Statistics, an average GPA of 3.0, and a satisfactory GRE score. However, significant work experience could supplant some of these requirements. The University of Dayton is situated on the banks of the Great Miami River in southwest Ohio, less than two miles from downtown Dayton. This top-tier Catholic research university began in 1850 as St. Mary’s School for Boys and reached its current identity in 1920. The institution is ranked the number one Catholic university in the nation for sponsored engineering. Graduate enrollment is over 2,800, with a faculty-to-student ratio of 14 to 1. Nineteen percent of graduate students are enrolled solely in online programs. The University of Dayton is a member of the North Central Association of Colleges and Schools and receives accreditation through The Higher Learning Commission. Program Details: Graduate students at University of Dayton have two options for Engineering Management degrees, both requiring 36 semester hours: The Master of Science in Engineering Management or the Master of Science in Management Science. Engineering Management offers working engineers the tools and skills needed to plan, design, optimize, and direct complex processes, and to lead the teams involved. Management Science applies quantitative techniques and research to solve problems in business, industry, and government. Students in both programs can participate in online simulcast environments, in which they are part of a live classroom. Simulcast courses are also recorded for those unable to attend in real-time. The program reaches completion with a Capstone Project or Master’s Thesis. Just an hour away from Boston, Worcester Polytechnic Institute is located in the mid-size city of Worcester, Massachusetts, on a sprawling New England campus. Founders established WPI in 1865 to develop the latest science and engineering knowledge. The institute is the third oldest private technological university in the nation. With a faculty-to-student ratio of 14:1, the National Survey of Student Engagement ranks WPI number one for the quality of student-faculty interaction. Graduate enrollment is just under 2,000 with 18% of graduate students involved in distance-only education. Accreditation has been received through the Commission on Institutions of Higher Education. WPI is a member of the New England Association of Schools and Colleges. Program Details: The Master of Science in Construction Project Management involves 33 credits of online courses across multiple disciplines including Civil Engineering, Management Science, Business and Economics, and System Dynamics. This program increases professional knowledge of design and construction engineering process, legal relations, organizations, and effective use of resources. Applicants typically have undergraduate degrees in Architecture, Management Engineering, or Civil Engineering, with professional experience in design and construction. Seated in the heart of Tampa Bay on Florida’s beautiful west coast, the University of South Florida is one of the largest public universities in the nation and Florida’s leading metropolitan university. The institution serves over 48,000 students, with graduate enrollment at over 10,300. Founded in 1956, USF is dedicated to ensuring student success in a global environment. The faculty includes the 2012 U.S. Professor of the Year and a faculty-to-student ratio of 24 to 1. USF possesses accreditation through the Commission on Colleges and is a member of the Southern Association of Colleges and Schools. Program Details: The Master of Science in Engineering Management degree program offers a balanced curriculum of qualitative approaches and quantitative techniques. Classes are delivered completely online with only one residency requirement at the end of the last semester. Completion of 30 credit hours includes 12 credit hours of Engineering Management core classes, 3 hours of quantitative core, 3 hours of job design core, and 12 hours of electives. Applicants must have a bachelor’s degree in Engineering with a minimum 3.0 GPA, an acceptable GRE score, and at least two years of work experience in engineering. Kansas State University resides in Manhattan, Kansas, a classic college town of more than 52,000 residents, located about two hours west of Kansas City, Missouri. The institution began in 1858 and became the first fully operational land-grant college in America in 1863. Graduate enrollment sits at over 4,400 with 28% of graduate students choosing a distance-only learning format. The university carries a faculty-to-student ratio of 19 to 1 and is a member of the North Central Association of Colleges and Schools. The Higher Learning Commission provides accreditation. Program Details: The Master of Engineering Management degree program equips students to respond efficiently and effectively in changing markets and new technologies. This 30-credit degree program is offered fully online, save for an oral examination conducted in-person at the end. Tuition costs $739 per credit hour. Applicants must possess an undergraduate degree in engineering or natural science with a GPA of 3.0 or above, a calculus course, a statistics course, an acceptable GRE score, and at least three years of industrial work experience by the time they complete the program. In Glassboro, New Jersey, just 30 minutes south of downtown Philadelphia, lies Rowan University, an institution named after American engineer and philanthropist Henry Rowan. Rowan University began in 1923 as a normal school to train teachers, with an enrollment of 236. Now matriculating 14,000 students, Rowan is nationally recognized for the caliber of its programs and has received more than a dozen awards for green initiatives since 2007. The current faculty-to-student ratio stands at 13 to 1, with graduate enrollment just under 2,400. Rowan is accredited by the Middle States Commission on Higher Education. Program Details: The Master of Engineering Management program is offered through the College of Engineering, in collaboration with the Rohrer College of Business, and aims to equip students with a balance of technical knowledge and managerial skills. The convenience of the all-online degree program makes it possible for working engineers to pursue their management career goals. Completion of 30 semester hours (10 courses) is required, and can be done in less than two years. The program begins each fall and costs $766 per semester hour. Over 300,000 people call Lincoln, Nebraska their home, and over 5,000 students are enrolled in the graduate programs at the University of Nebraska–Lincoln. A public, land-grant, research university chartered in 1869, UNL campuses contain such beauty as to be defined as botanical gardens. Over one-fifth of graduate students are enrolled through distance education. Accreditation is provided through The Higher Learning Commission; UNL is a member of the North Central Association of Colleges and Schools. Program Details: UNL recommends its Master of Engineering Management degree to engineers of all disciplines who want to move into management positions. Professionals are able to remain in full-time employment while pursuing their degree fully online. The 30-credit-hour non-thesis degree program provides courses taught by the same professors who teach on-campus. Students take 9 credits in core Engineering Management courses, 9 credits as a Business Minor, 9 credits of Engineering electives, and 3 credits in Engineering Management. Non-residents can expect to pay approximately $900 in tuition per credit hour. Ohio University, founded in 1804, is a public research university system with a main campus in Athens, Ohio. Recognized as an “Innovation and Economic Prosperity University” by the Association of Public and Land-Grant Universities, Ohio University has a graduate enrollment of over 4,700, with 33% of graduate students pursuing their education solely via distance modes. The faculty-to-student ratio peaks at 18 to 1. Ohio University is a member of the North Central Association of Colleges and Schools. Accreditation is provided through The Higher Learning Commission. Program Details: The Master of Engineering Management degree program is 100% online and enhances students’ engineering credentials with coursework in Engineering Statistics, Six Sigma, Project Management, Engineering Writing and Law, and more. Faculty have experience in the industry and will equip students with the expertise necessary for competent leadership. Students take 2 courses per semester and complete in 5 terms. A Capstone Project finalizes the academic experience. Oklahoma State University’s main campus is located in Stillwater, just over an hour away from Oklahoma City. A public institution birthed through the land-grant system, OSU began on Christmas Day in 1890. Graduate enrollment lies just under 5,500, with 21% of graduate students involved through distance-only methods. The faculty-to-student ratio at OSU is 20 to 1. The Higher Learning Commission provides accreditation; OSU is a member of the North Central Association of Colleges and Schools. Program Details: Oklahoma State offers two online master’s degrees in Engineering Management: The Master of Science in Engineering and Technology Management (32 credit hours) and the Master of Science in Industrial Engineering and Management (30 credit hours). Coursework is provided through the Colleges of Engineering, Architecture and Technology, the Spears School of Business, and the College of Arts and Sciences. The programs are available online; students can participate in live campus classes via video or stream recorded video later at their convenience. The degrees typically take 3 years to complete. Lehigh is a private research university in Bethlehem, Pennsylvania, set on a hillside in scenic Lehigh Valley, on a large wooded campus of over 2,350 acres. Lehigh consists of four colleges and over 2,000 graduate students. Founded in 1865 by an industrial pioneer/entrepreneur, Lehigh offers quick access to both Philadelphia and New York City. Lehigh offers an impressive 10:1 faculty-to-student ratio. The accrediting agency is the Middle States Commission on Higher Education. Program Details: This program equips students with broad engineering management perspectives. Experienced professionals as well as recent graduates with backgrounds in Engineering, Mathematics, or Physical Science who desire to pursue managerial roles will benefit from the degree. Students choose between a Master of Science (24 credit hours with a six-credit thesis) or a Master of Engineering in Management Science and Engineering (27 credit hours and a three-credit project, or 30 credits hours and no project). This program is administered by the Department of Industrial and Systems Engineering. Students select from a variety of classes to meet core requirements, most of which are available online. The University of Arkansas prides itself on its commitment to its students, evidenced by the campus Senior Walk, a grid of more than three miles of crisscrossing sidewalks engraved with the names of more than 170,000 graduates. Founded as a land-grant institution in 1871 and serving more than 26,000 students, U of A adds prestige and culture to picturesque Fayetteville, Arkansas. U of A enrolls over 4.300 graduate students and enjoys a faculty-to-student ratio of 19 to 1. The university is a member of the North Central Association of Colleges and Schools and is accredited by The Higher Learning Commission. Program Details: This flexible degree program offers a Master of Science in Engineering with electives in 9 different engineering spheres. Students are required to take core courses in Mathematics, Computer Applications, Technical Communications, and Management; a variety of courses are offered under those categories. Nine additional credit hours of classes are chosen based on each student’s emphasis; there are 9 management classes from which to choose. A total of 30 hours are required to receive the MSE degree. All courses are delivered online. Tuition costs $262.50 per credit hour. Applicants must have a bachelor’s degree in Engineering and a GPA of 3.0 or better. The University of Michigan–Dearborn began in 1959 with a gift of over 200 acres and $6.5 million from the Ford Motor Co. Part of the Detroit metropolitan area, UM-Dearborn’s total graduate enrollment peaks at just over 1,600, with nearly 75% of graduate students attending part-time, and one-third enrolled solely in distance education. There are 17 students to every one faculty member. The university is a member of the North Central Association of Colleges and Schools. Accreditation is provided by The Higher Learning Commission. Program Details: University of Michigan-Dearborn has produced a program through a joint cooperation of the College of Business and the College of Engineering and Computer Science. Students can simultaneously earn their MBA and their MSE in Industrial Systems Engineering by completing 57-66 credit hours. Rigorous core coursework for the MBA includes but is not limited to Economic Analysis, Corporate Social Responsibility, and Organization Behavior; for the MSE-ISE, classes include Design and Analysis of Experiments, Multivariate Statistics, and Operations Management. Applicants must have an undergraduate degree in Engineering, a Physical Science, Computer Science, or Applied Mathematics. Full-time and part-time schedules are available, and students may begin in September or January. Situated in northwest Texas in the city of Lubbock, TTU is a public research institution with increasing enrollment, investment in research, and momentum for excellence. Lubbock is knowns as “Hub City” for its provision of economic, educational, and medical vitality to the South Plains region, and TTU contributes greatly to this reputation. Graduate enrollment is over 6,000 students, with 17% in distance-only education. With a 20:1 faculty-to-student ratio, TTU is a member of the Southern Association of Colleges and Schools, and is accredited by the Commission on Colleges. Program Details: The Master of Science in Systems & Engineering Management is designed to prepare students for leadership in the industry, with a solid understanding of management and financial issues. Offered through the Industrial Engineering Department, this curriculum covers 30 credit hours with thesis and non-thesis options. Core requirements fulfill half of the curriculum, while the remaining half can be selected from any of the engineering disciplines within the College of Engineering. Coursework is completed online with some use of Interactive Video Conferencing. Both part-time and full-time opportunities are available. Applicants must have a bachelor’s degree in Engineering. Arizona State University is a top-ranked public research university located across five campuses in the greater Phoenix metropolitan area. Established in 1885 as a normal school to train teachers, the university has grown to describe itself as one university in many places. ASU ranked as the second most innovative school in the country by U.S. News & World Report. Graduate enrollment is over 15,500 with 4% of graduate students enrolled exclusively in distance education. The faculty-to-student ratio is 24 to 1. ASU is accredited by The Higher Learning Commission and is a member of the North Central Association of Colleges and Schools. Program Details: The Master of Engineering in Engineering Management online degree program blends engineering and business. The program produces students ready for leadership in a multitude of arenas, including Engineering Administration, Systems Engineering, Project Management, Risk Management, and Strategic Technology Development. Curriculum includes: 3 Industrial Engineering Methods courses, 4 Engineering Management courses, 2 Elective courses, and a Capstone Project. Tuition costs $482 per credit hour. Milwaukee School of Engineering is located in East Town, an exciting Milwaukee neighborhood just blocks from Lake Michigan. MSOE is a unique, private, nonprofit university fostering a high standard of academic excellence. The institution was founded in 1903 in a close relationship with local leaders in business and industry. Graduate enrollment nears 200, with a faculty-to-student ratio of 15 to 1. The university is accredited by ABET and The Higher Learning Commission and belongs to the North Central Association of Colleges and Schools. Program Details: The Master of Science in Engineering Management complements students’ undergraduate degrees and supports the learning process as they progress into management positions. Faculty have extensive industry experience. Flexible learning options abound, with full- and part-time coursework, and either blended Internet delivery (wherein classes meet face-to-face during alternating weeks) or completely online delivery. Eight foundation courses and 5 elective courses culminate in a thesis or project option, for a total of 45 quarter credits. In the University Park neighborhood just outside of busy downtown Los Angeles, the University of Southern California offers an urban learning environment with a large graduate enrollment of nearly 23,000 students, 18% of whom are enrolled in distance-only education. USC opened its doors to 53 students back in 1880, and now includes more international students than any other university in the nation. This private, not-for-profit institution offers a faculty-to-student ratio of 9 to 1. USC is a member of the Western Association of Schools and College; accreditation is provided by the Senior College and University Commission. Program Details: The Master of Science in Engineering Management online degree program prepares students with undergraduate degrees in engineering or related sciences for roles in management. Students learn from instructors with industry experience. All engineering disciplines are welcome to this program. Students must have an undergraduate degree in Engineering, and a satisfactory GPA and GRE test scores. Work experience is not required. A minimum of 30 units is required to earn the degree, which includes 12 units of elective courses. Iowa State University began as a land-grant university with the first class matriculating in 1869. ISU offers a friendly learning environment with a student-centric faculty and staff, and a faculty-to-student ratio of 19 to 1. Located in Ames, Iowa, 30 minutes north of Des Moines, the campus proudly displays a tall campanile with its 50 bells, and over 2,000 public works of art. Graduate enrollment is slightly under 5,300 with almost one quarter of graduates enrolled in distance-only education. ISU is a member of the North Central Association of Colleges and Schools and receives accreditation through The Higher Learning Commission. Program Details: The Master of Engineering in Engineering Management online degree program offers 4 core courses: Engineering Management Theory, Systems Engineering and Project Management, Strategic Management and Innovation, and Strategic Process Analysis and Improvement. Six supporting courses include coursework in Law, Financials, and more. Individuals have the opportunity to substitute supporting courses in related disciplines. Degrees can be fully completed online, either part-time or full-time. Admission requirements include a 3.0 GPA during undergraduate engineering studies, 2 years experience in the field, and coursework in Calculus, Engineering Statistics, and Engineering Economy. UTC is located only a few blocks from the urban area of the city of Chattanooga, Tennessee, a metropolis with more than 600 industries at the foot of Lookout and Signal Mountains. Founders established the private school in 1886. Uniquely, the institution converted to a public university system 83 years later when it merged with the University of Tennessee. Graduate enrollment lies just under 1,400, with 10% of graduate students enrolled in distance-only education. Currently, the faculty-to-student ratio is 18 to 1. The Commission on Colleges provides accreditation. UTC is a member of the Southern Association of Colleges and Schools. Program Details: The Master of Science in Engineering Management degree from UTC requires 33 semester hours to complete. The program addresses Economics, Quality Control, Decision Making, Leadership, and more. Graduate degree concentrations can be pursued in Construction Management or Power Systems Management. Core classes match the Engineering Management degree, along with electives in Construction or Power Systems. Out-of-state tuition costs approximately $581 per credit hour. Degrees can be earned entirely online. Scenic Boulder, Colorado sets the stage for a beautiful university campus founded in 1877. This public academic institution encourages its students to “Be Boulder” as they pursue their degrees. The faculty-to-student ratio is 18 to 1. Graduate enrollment is just under 6,000 students, with 8% involved solely in distance education. CU–Boulder is a member of the North Central Association of Colleges and Schools and is accredited by The Higher Learning Commission. Program Details: A Master of Engineering in Engineering Management degree is offered through the Lockheed Martin Engineering Management Program. Core curriculum focuses on business basics of Project Management, Marketing, Quality Management, Leadership, Finance, and Accounting. To be admitted, students must have an undergraduate degree in a relevant field, at least two years professional work experience, and the ability to use applied statistics effectively. Students may view class sessions in real time or at their convenience. Curriculum includes 6 core courses, 4 electives, and a Master’s Exam. Sited on 1,250 rolling acres on the Baltimore-Washington, D.C. corridor, UM–College Park is a public research university recognized for its diverse student population and three Nobel Laureates on faculty. The faculty-to-student ratio is 18 to 1. Originally opened with 34 students in 1858 as Maryland Agricultural College, the University of Maryland now sees graduate enrollment alone at over 10,500. Accreditation is provided by the Middle States Commission on Higher Education. Program Details: The online engineering program began in 2006. Experts in engineering project management developed the curriculum for the Master of Engineering in Project Management degree. Students acquire real world project skills from online courses that are identical to on-campus courses. Courses include weekly video conferences. The engineering program is accredited by the Project Management Institute’s Global Accreditation Center. Additionally, the School now hosts an annual Project Management Symposium to network and share best practices. UW–Madison sits on an isthmus between Mendota and Monona lakes, with 936 campus acres that include historic buildings, wide open spaces, hiking and biking trails, shopping, movies, and more. Graduate enrollment reaches just under 12,000 students. The University has a faculty-to-student ratio of 18 to 1. Founded as a public institution in 1849, the University of Wisconsin is accredited by The Higher Learning Commission and is a member of the North Central Association of Colleges and Schools. Program Details: The Master of Engineering Management program only admits 30 experienced engineers per year; students enjoy project-based learning online with no interruption to their careers. Students obtain 30 credits through the completion of 11 courses. Coursework takes place in 4 semesters and 2 summer sessions spread over 3 calendar years. A week-long residency requirement in late August concludes each summer session and leads into fall courses. Tuition costs $1,600 per credit, for a total of approximately $48,150. Duke University has a reputation for academic freedom that dates back to the 19th and early 20th century. A private, not-for-profit institution, Duke is now the 5th largest research university in the nation and boasts a faculty-to-student ratio of 8 to 1. Located in the mid-sized city of Durham, North Carolina, in the east-central part of the Piedmont region, Duke enrolls over 8,800 graduated students yearly. Duke is a member of the Southern Association of Colleges and Schools and received accreditation from the Commission on Colleges. Program Details: The Distributed Master of Engineering Management program combines the option of distance learning with 3 on-campus residencies to allow for networking within one’s cohort. Coursework can be completed in as little as 2 years while working full-time; the distance curriculum follows the same classes as the North Carolina campus. Core courses in engineering management are fulfilled through the Pratt School of Engineering in a partnership with Duke School of Law and the Fuqua School of Business. Completion of the program requires attendance at the residencies and successful completion of 8 classes. Students must begin in the fall. There is no minimum requirement of work experience prior to enrollment. Penn State began offering distance education in 1892 through correspondence courses. Over 100 years later, the tradition continues on World Campus, an online public university environment established in 1998 and recognized as an official campus of Pennsylvania State University. The faculty-to-student ratio is 13 to 1. Graduate enrollment surpasses 4,200 students, 99% of whom complete their degree on a part-time basis. Accreditation is provided by the Middle States Commission on Higher Education. Additionally, the engineering program is accredited through ABET. Program Details: The Master of Professional Studies Engineering Management cohort-based online degree program is a collaborative effort between Penn State Great Valley School of Graduate Professional Studies, Penn State Harrisburg School of Science, Engineering, and Technology, and School of Business Administration. Curriculum covers a variety of topics including Creativity and Problem Solving, Decision and Risk, Engineering Management Strategy, Financial Studies, Project Management, and Organizational Behavior. Persons holding undergraduate degrees in Engineering, Mathematics, Physics, or Science, and possessing at least 3 years of work experience, are invited to apply. Online course take 2 years to complete; the 12 courses total 33 credits and tuition costs $930 per credit. Businessman John Purdue founded Purdue University in 1869 with a donation of $150,000. A land grant university, Purdue–West Lafayette is the flagship institution in Indiana’s six-campus public university system. Located about an hour away from downtown Indianapolis, Purdue enjoys a 13:1 faculty-to-student ratio. Total graduate enrollment is over 9,300, with graduate enrollment in the College of Engineering reaching over 2,900. Purdue is accredited by The Higher Learning Commission and is a member of the North Central Association of Colleges and Schools​. Engineering programs are accredited by ABET. Program Details: The Master of Science in Engineering with specialization in Engineering Management and Leadership is aimed at current engineers who seek to advance their career path. The curriculum, totaling 33 credit hours, increases students’ engineering and technical skills at the systems level with courses from Purdue College of Engineering, and builds management skills for leadership in the global marketplace with courses from the Kelly School of Business at Indiana University. Students can customize their program with flexible coursework options and an extensive course menu. Most students complete the program at a tuition cost of under $40,000. The University of Texas at Austin is a public research university founded in 1883. As the flagship school of the University of Texas System, UT–Austin enrolls nearly 12,000 graduate students and has an overall faculty-to-student ratio of 18:1. The large student body draws upon significant networking, financial, and moral support from its Longhorn alumni. UT–Austin is a member of the Southern Association of Colleges and Schools. Accreditation is provided by the Commission on Colleges. Program Details: The Cockrell School of Engineering is the number one ranked engineering program in Texas in some rankings. The Master’s in Engineering Management program fuses management courses with engineering technical courses. This program involves 10 courses with 2 project courses instead of a final thesis. Classes occur onsite and online only one weekend per month, allowing students to obtain a degree while working full-time. Students address topics such as Management, Negotiations, Marketing, Strategic Decision and Risk Analysis, Creativity, Innovation and Product Development, and Engineering Economics. Full program tuition totals $42,000 for online students. Columbia University began as King’s College in 1754. A royal charter of King George II of England, Columbia is the fifth oldest institution of higher learning in the United States. This private, not-for-profit university thrives in its locale in the Upper West Side of Manhattan. The School of Engineering is intricately tied to New York City’s infrastructure; since the University’s founding, Columbia’s engineers have worked closely with the public sector of New York, contributing to the city’s growth and capital improvements. Boasting an impressive student-to-faculty ratio of 6 to 1 and a total graduate enrollment of nearly 19,000, Columbia is accredited by the Middle States Commission on Higher Education. Program Details: The Construction Engineering and Management program provides a flexible opportunity for students to tailor their courses to meet their interests and backgrounds in engineering, management, and decision sciences. Most students come to the program with undergraduate degrees in Civil Engineering. Students must complete at least 30 points (10 courses), with most part-time students finishing in 2-3 years. Online courses are taken through the Columbia Video Network. Because New York City supports a vast number of engineering and construction companies, many Columbia engineering students benefit from industry interaction and collaboration. Texas A&M University, also known as Aggieland, sits in College Station, Texas, just 90 miles northwest of Houston. As a land-grant university founded in 1876, the University was Texas’ first public institution of higher learning. The campus houses the George Bush Presidential Library and Museum and President Bush plays an active role in university life by hosting special events through the Library. Total graduate enrollment is about 11,600 with 10% of graduate students enrolled solely in distance education, and the student-to-faculty ratio is 23 to 1. Texas A&M is a member of the Southern Association of Colleges and Schools and is accredited by the Commission on Colleges. Program Details: The Department of Industrial and Systems Engineering offers a 12-course, non-thesis Master of Science in Engineering Systems Management that typically takes 2-3 years to complete. Most students enter the program with a bachelor’s degree in an engineering field, and enter the industry after graduation rather than pursue a PhD. The program covers both Systems Engineering and Engineering Management and students have the opportunity to pursue electives and earn professional certificates. Graduate enrollment in the Engineering Department totals 241 in 2015. Total cost estimation for students outside of Texas is approximately $46,000. UCLA is a public research university, perched 16 miles northwest of busy downtown Los Angeles and just 8 miles from the iconic Santa Monica State Beach. The University proclaims an anthem of optimism which drives its scholars to greatness, including 13 Nobel Laureates. Total graduate enrollment exceeds 12,100 students and the student-to-faculty ratio is 16 to 1. UCLA is a member of the Western Association of Schools and Colleges, and is accredited by the Senior College and University Commission. Program Details: UCLA’s Master of Science in Engineering with an Engineering Management Certificate program provides the opportunity to expand business knowledge and skills in areas such as Project Management, Financial Management, Business Law, Supply Chain Management, and Operational Research. Courses for this new certificate launched in the fall of 2014. Online students take the same courses, from the same instructors, as the on-campus students. Courses are viewable on a computer, tablet, or smartphone. To fulfill program requirements, students must complete 36 units (9 courses) and pass 3 written exams. There is a strong on-campus component to enhance networking opportunities. Stanford University is located in the sunny California Bay Area just 36 miles south of San Francisco. Established in 1885, this research university is known for its entrepreneurial character and its connection with Silicon Valley’s intellectually progressive and multicultural population. Over 9,100 students are enrolled in graduate courses. Stanford is accredited by the Senior College and University Commission and belongs to the Western Association of Schools and Colleges. Program Details: Stanford University’s Master of Science in Management Science and Engineering program is administered through the Center for Professional Development. Courses follow the academic quarterly calendar. Students take 11 to 15 courses (totaling at least 45 units) on a part-time basis; most students finish within 3-5 years. Curriculum contains minimum Breadth and Depth Course Requirements, which students choose from a list of electives. Applicants must have a background in Mathematics and Computer Science and their employer must be a current member of the Corporate Education Graduate Program. Tuition rates are $1320/quarter unit, with most graduate courses comprising 3-5 quarter units.